We know that the most creative, most innovative, most on-it talent isn’t sat in huge open plan offices churning out work en-masse. The magic is made by the individuals, niche agencies and developers working smart and fast. mChain is about bringing these diverse professionals together to achieve wonders. We’ve listened hard and reimagined the process of working, so you get more of what you like and less of what you don’t. We learn what you do and bring you a flow of quality work, relevant to your skills and experience. An end to vague briefs! All the content you need along with context from the wider strategy, objectives and learnings from previous activities. Our Platform handles the day to day account management; with smart engagement and communication tools. mPlatform ensures that output is on strategy and that feedback is relevant. We know that you hate working in silos, without wider view on projects or being part of a team. We build a team and the mPlatform makes communication and collaboration seamless. we all like to know if we’re making a difference, we share campaign results with everyone who’s contributed, so we can continuously optimize. You’d rather be doing what you're best at, right? We’ll build your estimates, handle invoicing and ensure timely payments. 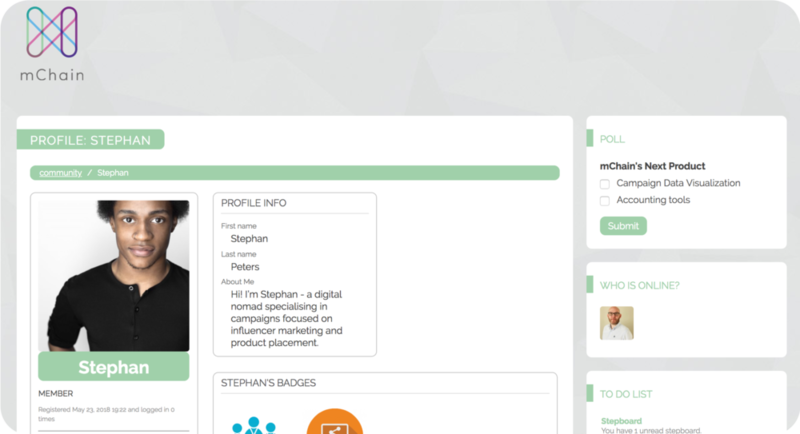 Peer and client reviews, build your profile with badges and points to get more rewarding projects. The mChain platform is in development phase and promises to smartly disrupt the marketing services industry. We have a roadmap of new products and features so that we can fulfil our mission to change the way the way marketing services are procured and delivered. As we build our client base, we learn. Our UX and Customer Journey research is constantly live while we engage with both Brands and mProviders about how the products on the mChain platform should function and perform.